Americans consume 20 percent of the year's total cranberries during Thanksgiving week, according to Food Reference. And while this little red gem wasn't present on the original Pilgrim's table, according to Smithsonian Magazine, today cranberries have become a staple, right alongside the turkey. But why limit your cranberry consumption to one week in the middle of November? The cranberry offers a host of benefits you can take advantage of year-round. These tiny fruits are pretty powerful, nutritionally speaking, and are often referred to as a superfood. Samantha Cassetty, M.S., RD, nutrition and weight-loss expert says that while there is no standard definition for superfood, the term is often used to describe foods rich in vitamins, minerals and antioxidants. 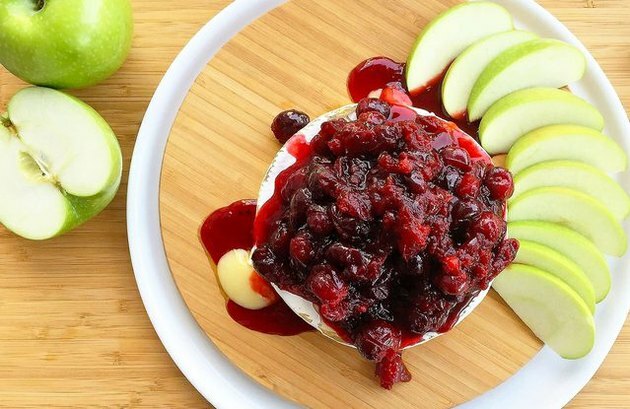 "Cranberries are rich in antioxidants that may help lower inflammation (and therefore protect against certain diseases), reduce the risk of certain bacterial infections and support a healthy gut," she says. The best way to consume these power players? Raw and through pure juice, according to Joe Vinson, a professor of chemistry at the University of Scranton, who, along with his colleagues, studied commonly available grocery store fruits. 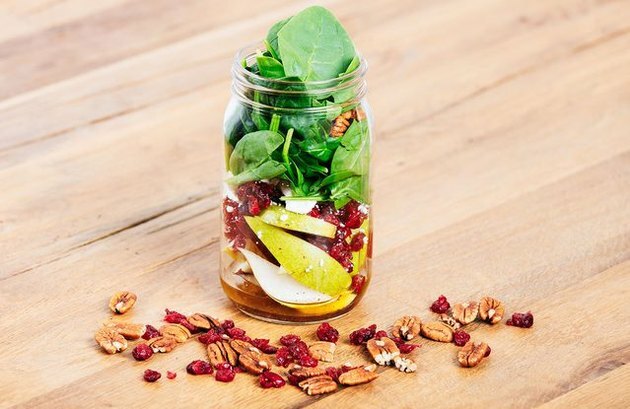 To get the most out of your cranberry intake, Cassetty also recommends being mindful by pairing them with foods that don't have added sugars. 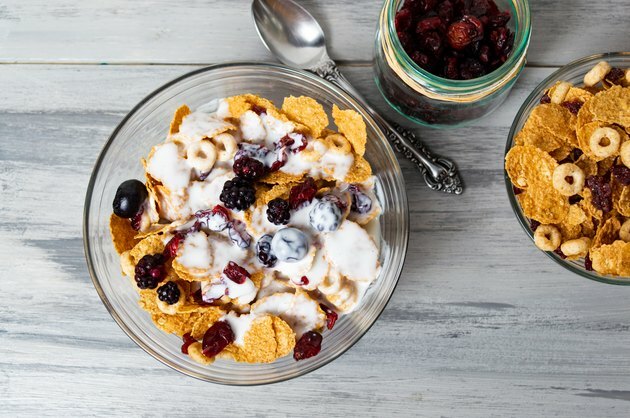 "Add them to unsweetened yogurt or overnight oats, or create a trail mix with a blend of dried cranberries, nuts (such as pecans or walnuts) and pumpkin seeds." And if you do eat them with oats, such as in this vegan breakfast, you'll get even more fiber and iron, which is an immune system-supporting mineral that will help you through the cold and flu season. Cranberries are also a good source of vitamin E. This vitamin, also considered an antioxidant, helps protect the body against molecular breakdown from toxins, is essential for your body's immunity to function well and aids in cellular communication as well as in generating red blood cells. Move over chicken Waldorf salad sandwich, there's a new slider in town. 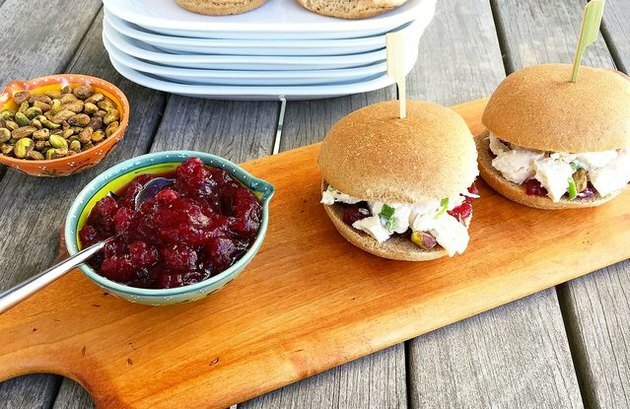 What makes this recipe so appealing is that you can take that leftover cranberry sauce from Thanksgiving dinner and give it a new purpose by using it as a spread for this recipe or any sandwich you make all weekend long. Cassetty also warns against the sugar content found in cranberry-based products. "Since cranberries are tart, they're often found in foods with added sugars, including sauce, dried cranberries and cranberry juice drinks." Make your own cranberry sauce whenever possible so that you can control how much sugar is added to your recipe. Canned varieties are full of added sugars — even the organic canned cranberry sauce ones — so you're better off with a homemade version. When it comes to dried cranberries, Cassetty suggests pairing them with other nutritious foods that don't contain added sugars. 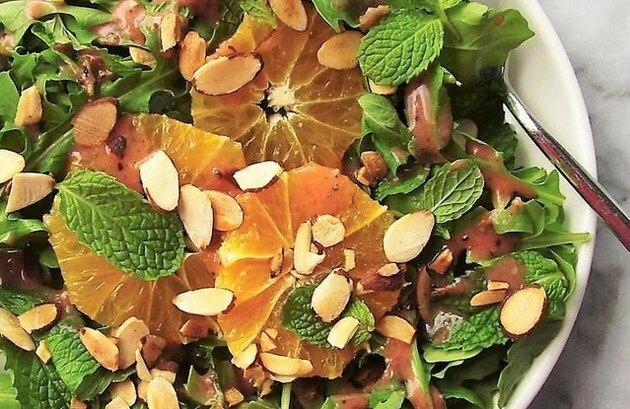 "Use them to add color and flavor to salads and sauteed greens, add them to unsweetened yogurt or overnight oats," she says. Many researchers have studied the effect of cranberry juice on ulcers and gastritis and have come to discover some excellent news when it comes to treating those afflicted with these bacterial infections. Turns out that drinking cranberry juice can disrupt the bacteria H. pylori, according to the Milton S. Hershey Medical Center. The reason? Cranberries are high in flavonoids, which are anti-inflammatory agents that stop or inhibit bacterial growth. Pair cranberry juice with tea and you get a double whammy of those agents in just one serving. 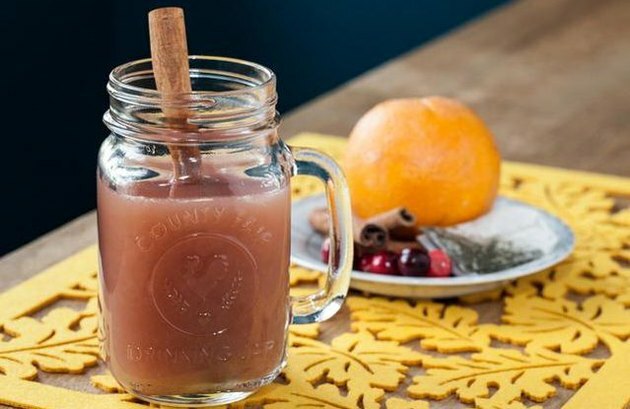 Of course, this tea is spiked with vodka (you gotta live a little bit, right? ), but just leave it out if you don't want the alcohol. There has been a lot of talk about cranberries and their ability to either prevent or treat urinary tract infections (UTIs), but according to Cassetty, "They need to be eaten regularly in order to get the specific benefit of UTI protection." Rather, she recommends focusing on eating a "variety of nutrient- and fiber-rich fruits and veggies and staying within added sugar limits. This type of eating pattern has a wide range of health-promoting benefits, including better gut health, improved weight management and healthier aging." Are you tired of eating avocado toast yet? 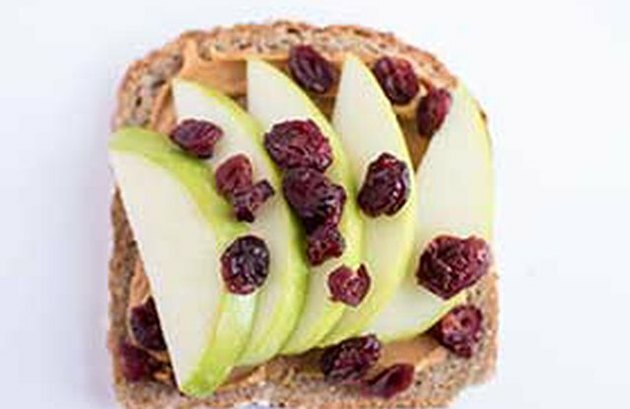 Switch up your routine (and your nutrition) by making this peanut butter, apple and cranberry toast instead. Aside from peanut butter being convenient, its nutritional profile is hard to beat, with 7.7 grams of protein per serving. For an even healthier take, choose organic spreads or avoid the store-bought stuff (usually laden with sugar and additives) and make your own in less than five minutes with a food processor. For the best bread, The Nutritious Life Studio CEO and co-founder Keri Glassman told Well + Good she prefers sprouted breads. She recommends Ezekiel bread because it doesn't have any sugar and is made with whole grains. If you can't find the Ezekiel brand, look for sprouted breads made with whole grains or legumes, which have more protein per serving, and avoid breads with additives and sugar. 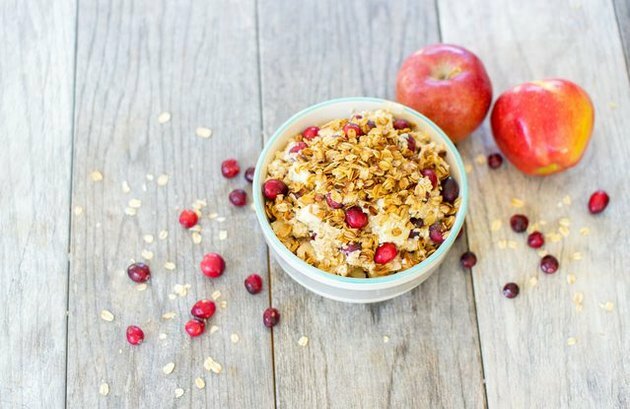 Thanks to the heart-healthy oats and the antioxidant-rich cranberries, these cookies will satiate those sweet-tooth cravings while delivering a host of health-related benefits. These treats provide a satisfying blend of mild sweetness from the dried fruit, but have a spicy kick thanks to the ginger and cinnamon. 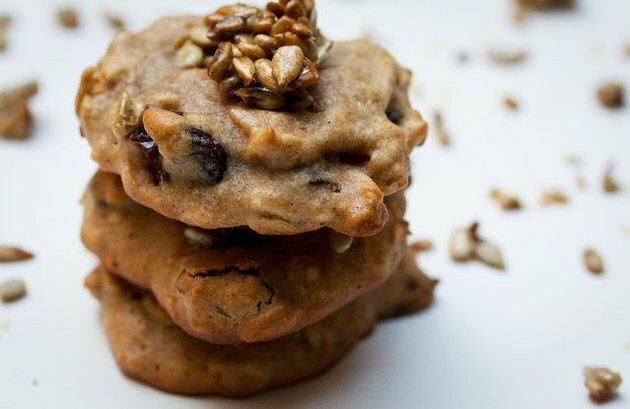 Plus, this oatmeal cranberry cookie recipe doesn't use eggs, making them vegan. Oats, considered a "power food," provide protein, vitamins and minerals as well as more fiber than any other grain, according to Medical News Today. While this recipe calls for oat flakes, you can up the nutritional benefit of these gems by swapping in steel-cut oats. Steel-cut oats are healthier due to the way they are processed, retaining more fiber and protein when compared to rolled oats or flakes. 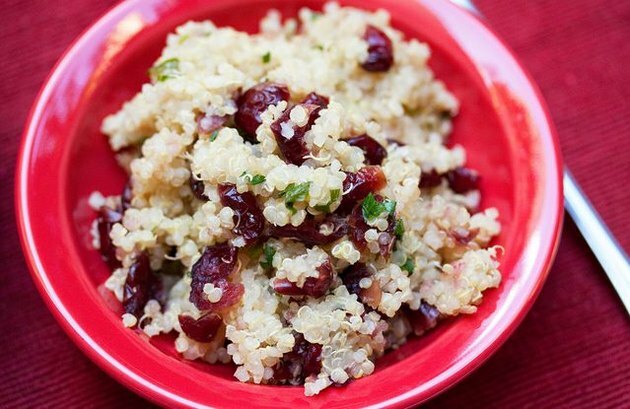 Simply add 10 to 15 minutes of cooking time to allow the steel-cut oats to soften.